We the undersigned hold ourselves bound by the spirit and letter of the covenants of the Prophet Muhammad (peace and blessings be upon him) with the Christians of the world, in the understanding that these covenants, if accepted as genuine, have the force of law in the shari‘ah and that nothing in the shari‘ah, as traditionally and correctly interpreted, has ever contradicted them. As fellow victims of the terror and godlessness, the spirit of militant secularism and false religiosity now abroad in the world, we understand your suffering as Christians through our suffering as Muslims, and gain greater insight into our own suffering through the contemplation of your suffering. May the Most Merciful of the Merciful regard the sufferings of the righteous and the innocent; may He strengthen us, in full submission to His will, to follow the spirit and letter of the covenants of the Prophet Muhammad with the Christians of the world in all our dealings with them. Since 2013, the Covenants Initiative has become an international movement in the Muslim world. Many Muslims from all walks of life, as well as a number of respected Islamic scholars—including Dr. Mohammed Gameaha of Al-Azhar University, which is the premier religious authority in Sunni Islam—have signed the Initiative. An interview with Dr. Morrow also appeared on the website of Ayatullah Khamenei, the Supreme Leader of Iran. On the Christian side, we have received letters of support from Bartholomew, Ecumenical Patriarch of the Eastern Orthodox Church, and Theophilus II, Patriarch of Jerusalem; The Covenants of the Prophet Muhammad with the Christians of the World has also been presented to Pope Francis. In 2016, in response to an appeal from Bishop Francis Y. Kalabat, Eparch of the Chaldean Catholic Church (of Iraq) now in exile in Detroit, Michigan, the Covenants Initiative launched a project called the Genocide Initiative, which was a call to “all political players” to declare the actions of ISIS war crimes and genocide; it took the form of a petition posted on Change.org. The Genocide Initiative formed part of the push that led to the unanimous passage of the (unbinding) Fortenberry resolution in the House of Representatives, in March of 2016, affirming our position on ISIS; soon afterwards, Obama’s Secretary of State John Kerry felt it necessary to make a public statement to the same effect: that the actions of ISIS constitute genocide. The Genocide Initiative was commended in an article in the foremost U.S. armed forces publication, Stars and Stripes (reprinted from the Fort Wayne Herald. This is entirely in line with Muhammad’s original intent. The Prophet foresaw that the expanding Muslim state would eventually come to blows with the Byzantine Empire, and knew that if this were to happen, some zealous but ignorant Muslims would simply consider this as inaugurating an “open season” on all Christians. Several passages of the Holy Qur’an, various rulings of the Prophet which have come down to us in the hadith literature, and most especially his Covenants with the Christian communities of his time, were explicitly designed to nip this tendency in the bud. Certainly these declarations were not entirely successful in preventing various excesses in later years, but they did exercise a powerful influence in the direction of tolerance and mutual respect among Muslims and Christians, an influence which lasted at least until the fall of the Ottoman Empire in 1922—the Covenants having formed the basis of state policy toward religious minorities under the Ottomans—and which has been resurrected in our own time largely through the ground-breaking scholarship of Dr. John Andrew Morrow. It is of course important for those Christians who are considering how they might use the Covenants of the Prophet as documents of protection against various Takfiri terrorist groups to satisfy themselves that these documents are valid; a sampling of our exhaustive case for their genuineness appears below. To make a thorough study of our arguments would be time- consuming, even if the reader did not attempt to assimilate the approx. 550 published reviews favorable to The Covenants of the Prophet Muhammad with the Christians of the World, or become familiar with the objections of our critics—many of which appear, so as to be refuted, in that book, as well as in our three-volume anthology of critical studies on The Covenants, Islam, and the People of the Book, which includes articles by Dr. Morrow and 17 other scholars, both Muslim and Christian. On the other hand, the Covenants have the potential for saving lives—and when lives hang in the balance, long deliberations and delays can have serious consequences. In this sense the Covenants are like a new and potentially lifesaving drug that’s undergoing clinical trials. If the drug is released too soon there could be unintended negative effects; if the release is delayed too long, lives will be lost. The goal of this article is to provide a “fast-track” for the acceptance of the Covenants by Christians, while directing them to more exhaustive research if they still have lingering questions. Meanwhile, the reader can refer to the May 2017 article “The Hidden Documents of Islam that can Defang Islamic Terror” by Melik Kaylan in Forbes magazine, to get some idea of the profound import of the Covenants for our time. The Covenants contained in The Covenants of the Prophet Muhammad with the Christians of the World and Six Covenants of the Prophet Muhammad with the Christians of His Time were treated as trustworthy by the Companions and their Followers along with the Caliphs, the Sultans, and the Shahs of Islam from the 7th century until the early 20th century. They were regularly renewed by Muslim rulers over the course of the past 1400 years and consistently authenticated by leading Islamic authorities from all schools of jurisprudence throughout the ages. The Covenants of the Prophet Muhammad were certified as genuine or sahih by Sultan ‘Abd al-Hamid II, the 34th Sultan of the Ottoman Empire and the Last Caliph of Islam, who passed away in 1918. As primary documents of prophetic provenance, they come second only to the Qur’an. As the Messenger of Allah, peace and blessings be upon him, attested, they are binding upon all believers until the end of times. N.B. For a complete study of the sources that support the genuine nature of the Covenants of the Prophet, kindly refer to “The Provenance of the Prophet’s Covenants” in Islam and the People of the Book (Cambridge Scholars, 2017). The second hurdle is the suspicion among certain Christians that the Covenants may be a kind of subtle Muslim plot, concealed under a show of false friendship, to return them to a state of second-class citizenship under the dhimmi system. If they will think for a minute, however, they will realize just how unlikely this is. Outside the short-lived and bogus “Caliphate” of ISIS, which is now in the process of being painfully de-constructed, and other efforts by Takfiri jihadists, nowhere in the world are Christians in danger of falling under Muslim rule outside of those nations long-considered to be part of Dar al-Islam. And if ISIS would grant dhimmi status to the Christians who have temporarily fallen under their yoke rather than massacring them wholesale, the lot of Christians under their regime would be greatly improved. This is not likely, however: ISIS and the other Takfiri terrorists hate the Covenants of the Prophet since these documents explicitly define them as laboring under the curse of Allah and his Prophet; there is even some indication that Da’esh may be searching for whatever Prophetic Covenants might remain in their conquered territories, possibly housed in ancient monasteries, in order to destroy them. As for the situation of Christians in Muslim-majority nations, no nation that is not officially Muslim could conceivably have the authority to enforce the provisions of the Covenants after a century-long hiatus, which in any case would require renewed negotiations between Christians and Muslims, like those that took place in the Prophet’s time, before both parties agreed to the terms of any particular new treaty based on the Covenants model. The rights granted to Christians under the Covenants, which lay both duties and rights on Muslims as well as Christians, if they could be renewed today would certainly represent an improvement in the status of Christians in some Muslim-majority nations—Turkey for example, where an enforcement the provision that Christians must not be prohibited from repairing their buildings would represent a real gain for the Christian population. Such a development, however, seems highly unlikely from many points of view. It is the position of the Covenants Initiative that, in the absence of a Muslim political entity like the Ottoman Empire, or a viable plan to renew the Covenants within an officially Muslim nation such as Iran—which would require equitable negotiations between Christians and Muslims involving a detailed revision and updating of the terms of the original agreements, thus doing away with their status as actual Covenants of the Prophet—another approach is required. Muslims, whether or not they are part of the ulama (the religious authorities), need to discern the basic intent of the Prophet Muhammad in drafting these documents, and make it their own. Muslims must embrace the spirit of the Covenants as individuals, and then try their best to prevail upon their governments to embrace that spirit as well—because the Prophet did not declare the Covenants binding upon all Muslims only until the fall of the Ottoman Empire, but until the end of time. Anyone who reads the texts of the Prophetic Covenants will necessarily be struck with the great respect and admiration Muhammad felt toward the followers of Jesus, expressed in terms of a noble and chivalrous pledge to defend them from all who would menace them, non-Muslims and Muslims alike. It only remains to say that, as soon as Christian leaders have satisfied themselves as to the validity of the Covenants of the Prophet, their existence should be widely publicized, and no effort spared in getting them into the hands of the Christian communities who need them. The Covenants of the Prophet Muhammad with the Christians of the World is quite a hefty volume; it contains exhaustive arguments, both textual and historical, for the validity of the Covenants, and provides a great deal of background. More appropriate for bulk distribution is the pamphlet-sized Six Covenants of the Prophet Muhammad with the Christians of His Time which contains only the actual texts of these documents. This book has already been translated into 14 languages: English, Arabic, French, Spanish, Italian, Portuguese, Persian, Turkish, Dutch, Indonesian, Tamil, Russian, Azeri and Urdu. The English and Azeri editions have already appeared. As soon as various arrangements for publication of the rest have been finalized, we intend to make them available in bulk, free of change, to any Christian leader who can show us a viable plan for their distribution to Christian communities presently under terrorist threat, or possibly vulnerable to such threat in the future. As opposed to the more usual interfaith initiatives, where religious dignitaries meet and smile at each other in various “safe spaces”, in contexts that exert a subtle but constant pressure upon them to soft-pedal any “divisive” doctrines, the Covenants Initiative neither requires nor encourages any degree of doctrinal agreement between Christians and Muslims. Rather, it is an example of what I call “united front ecumenism”: the will to make alliances between the faiths in the face of common enemies. Christians need not accept Muhammad as rasul Allah, a Messenger sent by God. All that’s required is that they accept him as a religious leader with a great respect and veneration for the followers of Jesus, one sworn to defend them against all comers. As for how the Six Covenants of the Prophet Muhammad with the Christians of His Time and our other documents might be used by Christian communities in danger of attack, it’s pretty obvious that showing them to the Takfiris themselves would be worse than useless; the Takfiris care nothing about the commands and prohibitions of the Prophet Muhammad, and often react with violence against those who do. However, this book could be of great help to Christians in establishing ties with local Muslims who, while in no way supporting terrorism, may be uncertain as to how to respond in a situation where armed Takfiris claiming to be Muslims are beginning to issue threats, or have already appeared in force. We would be glad to provide any interested Christian leader with single copies of The Covenants of the Prophet Muhammad with the Christians of the World and Six Covenants of the Prophet Muhammad with the Christians of His Time, free of charge. In return we hope that these leaders will begin to consider how the books could best be distributed to local Christian communities in various parts of the world. Upon submission of viable plans for such distribution, we will to provide additional copies of Six Covenants of the Prophet Muhammad with the Christians of His Time, also free of charge, so they can be forwarded to Christians in need of the kind of protection they could potentially provide. Let any Christian leader or activist who is interested in receiving one copy of each of The Covenants of the Prophet Muhammad with the Christians of the World (now available in English and Italian, and hopefully soon in Arabic) and Six Covenants of the Prophet Muhammad with the Christians of His Time, free of charge, place his or her order via the contact form at http://www.covenantsoftheprophet.com/ As already noted, only the English and the Azeri versions of the Six Covenants are presently available; please feel free, however, to request a copy in Arabic, French, Spanish, Italian, Portuguese, Persian, Turkish, Dutch, Indonesian, Tamil, Russian or Urdu; we will provide one, again free of charge, as soon as it is published in the language you’ve requested. In conclusion, please don’t take too long to decide whether or not to participate; these documents can save lives. The success story of Fatimah Ouaziz, who decided to enter elementary school in her 80s, shows that providing women with equal and fair access to education will allow Morocco to further its commitments to human rights and economic development. From an Amazigh family, she grew up speaking Tamazight. Like most Moroccans of the time, the lively little girl was deprived of even a basic education. Since the traditional Islamic school system was dismantled by the French, and mosques could no longer operate as a medium of literacy teaching, Fatimah, like millions of others, became part of a lost generation that mastered neither French nor Classical Arabic. While Moroccans could speak Berber languages and Darija, the Moroccan Colloquial Arabic dialect, they could neither read nor write them. Like most Moroccan girls in the mid-half of the 20th century, Fatimah was married in her early teens to a man nearly ten years older, named Moha Bejja, who was already twice divorced. Fortunately for her, he was found to be a kind, caring, and compassionate man who abhorred misogyny. As a traditional Middle Atlas Berber, he had never absorbed Arabic cultural influences in matters of gender relations. He was more matriarchal than he was patriarchal. Fatimah raised a family of eight in both Beni Tedjit and Bouarfa. After her husband passed away in 2007, and she completed two pilgrimages to Mecca, she became determined to acquire literacy. “Teach me to read,” she would ask family members, who brushed her off with a smirk or a shake of the head, thinking she was far too old to learn to read in her seventies. After all, she had never completed any studies in her life. A mind is like a muscle, the family figured, it atrophies if it remains unused. Like the proverbial Little Train, Fatimah persisted: “I think I can, I think I can, I think I can.” And she clearly could. Where there is a will, there is certainly a way. As if her prayers were answered, the Kingdom of Morocco instituted a series of important reforms over the past few years. In response to the rise of intolerance, King Mohammed VI, who holds the official title of “Leader of the Believers,” hosted a gathering of hundreds of religious scholars that resulted in the Marrakesh Declaration, a reaffirmation of the rights of religious minorities in Muslim-majority countries. In response to the rise of extremism and fundamentalism, a phenomenon that is inextricably linked to misogynistic misinterpretations of religion, the King of Morocco set into motion plans to place women imams in all mosques. If gender relations were imbalanced, with men dominating Islamic discourse, the presence of educated and empowered women would help bring matters back into balance. Unlike other Muslim-majority countries where women are discouraged or prohibited from entering mosques for prayer, Moroccan mosques have always been open to women. Their sections, however, have been substandard and most attendees have always been men. Since women play such an important role in the education of children and the transmission of faith, the Kingdom of Morocco determined that it was imperative for women to acquire a better understanding of Islam to protect and reassert their God-given rights. Permitting women to attend mosques is nothing new. As the Prophet Muhammad himself commanded, “Do not prevent the female servants of Allah from attending the mosque” (cited by Abu Dawud and Muslim). In Malaysia, Vietnam, Thailand, and Indonesia, women are provided prayer sections that are as large as those provided to men. Rather than be relegated to the back of the building, Muslim women in south-east Asia are often given a vast balcony providing them with a panoramic view of the mosque. In other cases, the mosques are split down the middle, with a simple line or a modest, symbolic barrier, distinguishing between the women’s side and the men’s side. The mosques are in gender harmony: half for women and half for men, standing side by side in equal sections, without either feeling like second-class citizens. Although women imams exist in all parts of the Muslim world, they are not very common, with the notable exception of China. In the Far East of the Muslim world, there exists a long tradition of female imams who lead, educate, and guide female congregations. In China, there are mosques for men, with male imams, and mosques for women, with female imams. The desire of the Moroccan Kingdom to open mosques to women also has important economic implications. As empirical evidence indicates, the development of nations is directly related to the education of its women. When women are illiterate, countries are chronically underdeveloped. When women are literate, countries are developed. To educate and empower women is the path to progress. No longer limited to places of prostration, opened only during prayer time, and closed immediately thereafter, mosques in Morocco have been given a new life, meaning, and purpose. Many of them are now operating as schools, as they did during the Golden Age of Islam, not only for children, but for adults as well, and not only for boys and men, but for girls and women as well. Every day for three years, Fatimah would rise early in the morning, shower, get dried, get dressed, eat breakfast, pack her schoolbag, and head off to school at the local mosque. 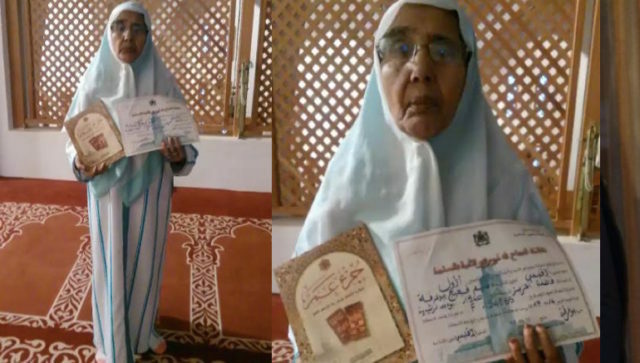 There, women teachers, the new female imams hired by the Kingdom of Morocco, would teach the pupils, senior citizens in this case, how to read, write, count, and do basic math. Fatimah had a dream. She pursued that dream. She persisted when everyone, even her family members and in-laws were convinced she could never learn to read and write due to her advanced age. Forgive me, my beloved mother-in-law, forgive me for failing to teach you when you asked. I am so proud of you and so ashamed of myself. You had the strength to learn to read in your eighties while I was too weak to teach you in my forties. Delivered at the Interfaith Banquet at the 54th ISNA Convention in Chicago, Illinois, on Sunday, July 2, 2017, in the presence of over two hundred interfaith and government leaders from the Jewish, Christian, and Muslim communities. A‘udhu billahi min al-Shaytan al-rajim. Bismillah al-Rahim al-Rahim. Alhamdulillahi rabb al-‘alamin. Salawatu wa salaam ‘ala al-nabi al-karim, Muhammad al-Amin, wa ‘ala alihi wa sahbibi ajma‘in. I take refuge in Allah from Satan, the Rejected. In the Name of Allah, the Most Compassionate, the Most Merciful. Praise be to Allah, the Lord of the Worlds. Peace and blessings be upon the noble prophet, Muhammad, the Truthful and the Trustworthy, as well as all of Family and Companions. I begin with words of thanks and gratitude to Almighty Allah, glorified and exalted be He, to the Messenger of Allah, peace and blessings be upon him, to Dr. Kareem Irfan, to President Azhar Azeez, to Dr. Mohamed El-Sanousi, to Sayyidah Catherine Osborne, to Sidi Farooq Kathwari, to Sayyidah Katherine Lohre, to Bishop Jake, to Bishop Burkat, to Bishop Miller, to Imam Anwar, to Bishop Eaton, to Dr. Sayyid Syeed, and to all our friends and supporters for the amazing work that they have done, and continue to do, in the path of Humanity and the Divinity. Congratulations to you all for your accomplishments. Please give them a round of applause. I have been invited to comment upon the Covenants Initiative, an international movement of Muslims committed to spreading the letters, treaties, and covenants of the Prophet Muhammad, blessings and peace be upon him, his family, and his faithful companions. The Covenants of the Prophet are found in Jewish, Samaritan, Christian, Zoroastrian, and Muslim sources. They are found in books of hadith, books of Qur’anic commentary, books of Islamic jurisprudence, and books of history. They also survive in ancient manuscripts that were passed down over the past 1400 years. They are like gold nuggets in a sandy river. They are like diamonds among stones. The first scholar to compile the letters, treaties, and covenants of the Prophet into a single source was Dr. Muhammad Hamidullah in Majmu‘ah al-Watha’iq al-Siyasiyyah fi al-‘ahd al-nabawi. The second scholar to study these documents in detail was Ayatullah Ahmadi Minyaji in his Matakib al-Rasul. These works were published in the middle of the 20th century. They were familiar to some scholars and specialists; however, most were unfamiliar with them and virtually no lay Muslims had ever heard of them. It was only with the publication of The Covenants of the Prophet Muhammad with the Christians of the World in 2013 that knowledge of the letters, treaties, and covenants of the Messenger of Allah, peace and blessings be upon him, truly became widespread throughout the world. Thanks to the Covenants Initiative, and all its partners, the foremost of which is ISNA, the Covenants of the Prophet Muhammad with the People of the Book came out of scholarly obscurity and have now become a powerful global force with serious socio-political and spiritual consequences. The Covenants are now available in English, Spanish, Italian, and Arabic, as well as a dozen other major world languages. We are spearheading a dozen different initiatives to disseminate them. Since its publication, this book and the movement it sparked has been the subject of over 600 articles, including one in Forbes magazine in May of this year, as well as numerous video, radio, and television speeches and interviews. The Covenants Initiative has been signed by prominent Muslim scholars and leaders from many parts of the world, including influential figures from al-Azhar University. The Covenants of the Prophet with the Christians of the World has been featured on the website of Ayatullah Khamenei, the Leader of Iran, and garnered support from Francis, Pope of Rome; Bartholomew, the Eastern Orthodox Ecumenical Patriarch; Theophilos III, Patriarch of Jerusalem; the Holy Fathers from Mount Sinai and Simonopetras, along with many other religious leaders, including Jews, Christians, and Muslims. The Covenants of the Prophet Muhammad were invoked in the House of Lords in London in the summer of 2014. In Autumn of 2015, the Covenants Initiative sponsored a petition, the Genocide Initiative, to have the actions of ISIS declared “genocide” and “war crimes,” which — as confirmed by an article in Stars and Stripes — was one of the factors leading to the unanimous passage by the House of Representatives of the Fortenberry Resolution, and the subsequent statement to the same effect by Secretary of State John Kerry. The Covenants of the Prophet, which includes the Covenant of Medina, were factors that contributed to the Marrakesh Declaration in January of 2016, reaffirming the traditional rights of religious minorities in Muslim lands. They are being used by Muslim and non-Muslim groups across planet Earth for interfaith work and counter-radicalization. In April of 2016, I was honored to receive an Interfaith Leadership Award from the Islamic Society of North America and was part of a delegation of Muslim leaders who met with senior administrators in the Obama White House. The Covenants Initiative has advised the Organization for Islamic Cooperation. The Covenants Initiative has advised religious and political leaders from dozens of different countries. The Covenants Initiative has advised the Obama administration and admonished the Trump administration. Yes, you heard me, admonished the Trump administration. We are doing our very best to share the concerns of the Muslim Community with the current President of the United States. As Almighty Allah says in the Holy Qur’an: “Indeed, We have sent you, [O Muhammad], with the truth as a bringer of good tidings and a warner, and you will not be asked about the companions of Hellfire” (2:119). Our duty is to warn. We are obliged to engage. We must speak truth to power. Come what may. To sum up, since its inception, the movement begun by The Covenants of the Prophet Muhammad with the Christians of the World has become an international phenomenon in the Muslim world. There is no better sign of its global influence than the fact that, after the recent Takfiri attack on the Catholic Cathedral in the Philippines, the Covenants of the Prophet were immediately cited by no fewer than seven news outlets on the island of Mindanao as proof that the attack was un-Islamic. Muslim leaders from Mindanao, both political and religious, all invoked the Covenants of the Prophet, peace and blessings be upon him. Alhamdulillah, praise be to Allah, the Covenants of the Prophet have become common knowledge. Let us honor them for as Almighty Allah warns in the Glorious Qur’an: “And those who break the covenant of Allah after ratifying it, and sever that which Allah hath commanded should be joined, and make mischief in the earth: theirs is the curse and theirs the ill abode” (13:25). I send you greetings of peace from a man of peace, a religion of peace, and a people of peace: and social justice: Al-salaamu ‘alaykum wa rahmatullahi wa barakatuh. May the peace, mercy, and blessings of Allah be upon you all. “Creo que el Islam nos aborrece”, afirmó un multimillonario fanfarrón el 09 de marzo de 2016, mientras competía para ser Presidente de los Estados Unidos. Al parecer, muchos estadounidenses comparten dicho sentimiento. Gracias a la propaganda antimusulmana, muchos estadounidenses se envalentonan y consideran correcto odiar a todos los musulmanes de manera abierta, descarada e indiscriminada. EEUU se edificó sobre el odio: odio a los aborígenes del país, odio a los afroamericanos, odio a los católicos estadounidenses, odio a los hispanoamericanos y odio a los musulmanes estadounidenses. La historia de los Estados Unidos, en gran medida, es una historia de odios. A la luz de ese vergonzoso legado de intolerancia y fanatismo, no sorprende que a partir de 2017 haya en EEUU 917 de grupos activos fomentando la discriminación. Después de todo, es tan estadounidense como el pastel de manzana (que, por supuesto, realmente es francés canadiense). Según el Southern Poverty Law Center, 130 de esos grupos discriminadores pertenecen al Ku Klux Klan (KKK), 99 son neonazis, 100 son nacionalistas blancos, 78 son cabezas rapadas racistas, 21 pertenecen a “Identidad Cristiana” (promotores de una interpretación racial del cristianismo), 43 son neoconfederados (separatistas blancos), 193 son separatistas negros, 52 son anti LGBT, 101 antimusulmanes y otros 100 discriminadores en general. Con la excepción de los grupos separatistas negros, como “La Nación del Islam” (que nada tiene que ver con el Islam como religión), sectas como la de los moros “Nuwaubian Nation” y grupos racistas y antisemitas, como el nuevo Partido Pantera Negra –que se desarrolló como una respuesta natural a la supremacía blanca–, todos los grupos discriminadores activos en Estados Unidos se componen de gente blanca, la mayoría de las cuales se identifican como cristianas. Estados Unidos está amenazado externa e internamente. Las amenazas internas provienen de grupos discriminadores de extrema derecha, terroristas de izquierda, separatistas puertorriqueños, anarquistas y ecoterroristas. Las externas provienen de grupos aparentemente vinculados con la red yihadista internacional y los estados patrocinadores del terrorismo internacional que atacan al país y sus intereses tanto dentro como fuera de Estados Unidos. Al-Qaeda fue la mayor amenaza para Estados Unidos en el decenio de 1990 y principios del 2000. Luego fue reemplazada por el grupo terrorista Daesh (ISIS/ISIL). Según los investigadores del Programa sobre Extremismo de la Universidad George Washington, hay 300 reclutadores del ISIS operando en los Estados Unidos. El FBI informó que contabilizaba 1.000 de ellos. El gobierno estadounidense ha identificado positivamente menos de una docena de estadounidenses que se han unido al ISIS. Hay más de 1.000 estadounidenses salafitas-wahabitas que apoyan al ISIS. En contraste, en EEUU hay de 5.000 a 8.000 miembros del KKK. Si reunimos a todos los antimusulmanes y supremacistas blancos, estamos tratando con un “Imperio Invisible”, como los llama la “derecha alternativa” (extrema derecha que rechaza a los conservadores que adoptan ideas progresistas), pero que yo prefiero llamarlos el Trailer Park de imbéciles innatos, compuesto por medio millón (o más) de activos promotores de la discriminación y el extremismo violento. Desde el 2015 la cantidad de grupos discriminadores antiislámicos aumentó un 197%. Los crímenes de odio contra los musulmanes aumentaron 67% en 2015 y en el 2016 un 89%. Esta cuestión nos lleva a preguntar: ¿quién odia a quién? “I think Islam hates us,” stated a big-mouthed billionaire buffoon on March 9, 2016, while he was running for president of the United States. Apparently, many Americans share these sentiments. Thanks to anti-Muslim propagandizing, many Americans are empowered and emboldened to hate all Muslims, openly, unabashedly, and indiscriminately. America was built on hate: hate of American Indians; hate of African Americans; hate of Catholic Americans; hate of Hispanic Americans; and hate of Muslim Americans. The history of the United States is very much a history of hatred. In light of its shameful legacy of intolerance and bigotry, it comes as no surprise that, as of 2017, there are 917 active hate groups operating in the United States. After all, hatred is as American as apple pie (which, of course, is really French Canadian). According to the Southern Poverty Law Center, 130 of these hate groups belong to the Ku Klux Klan (KKK); 99 of them are neo-Nazi; 100 of them are white nationalists; 78 are racist skinheads; 21 of them are Christian Identity; 43 of them are neo-Confederate; 193 are black separatist; 52 are anti-LGBT, 101 are anti-Muslim; and a final 100 espouse hatred in general (at least they don’t discriminate in matters of hatred). With the exception of black separatist groups such as the Nation of Islam (which has nothing to do with Islam as a world religion), cults like the Nuwaubian Nation of Moors, as well as racist and anti-Semitic groups like the New Black Panther Party, all of which developed as a natural response to white supremacy, all of the active hate groups in the US are composed of white people, most of whom identify as Christians. Threats to the US are both domestic and international. Domestic threats come from formal right-wing hate groups, left-wing terrorists, Puerto Rican separatists, anarchists, and eco-terrorists. International threats come from groups often referred to as the radical international jihad network, and state sponsors of international terrorism that attack US interests both at home and abroad. If al-Qaeda was the major threat to the US in the 1990s and early-2000s, the terrorist group Da‘ish (aka ISIS/ISIL) has supplanted it since. According to researchers at George Washington University’s Program on Extremism, there are 300 active ISIS recruiters operating in the US. At last count, the FBI reported that it was conducting 1,000 active ISIS probes in the country. The US government has positively identified fewer than 12 Americans who have joined ISIS. There are over 1,000 Salafi-Wahhabi Americans who support ISIS. In contrast, there are 5,000 to 8,000 members of the KKK in the US. If we combine all anti-Muslim and white supremacist groups, we are dealing with an “Invisible Empire,” as they are called by the alt-right, but which I prefer to call the Trailer Park of Inbred Imbeciles, composed of half a million (or more) active hate-mongers and violent extremists. There has been a 197% increase in anti-Muslim hate groups since 2015. 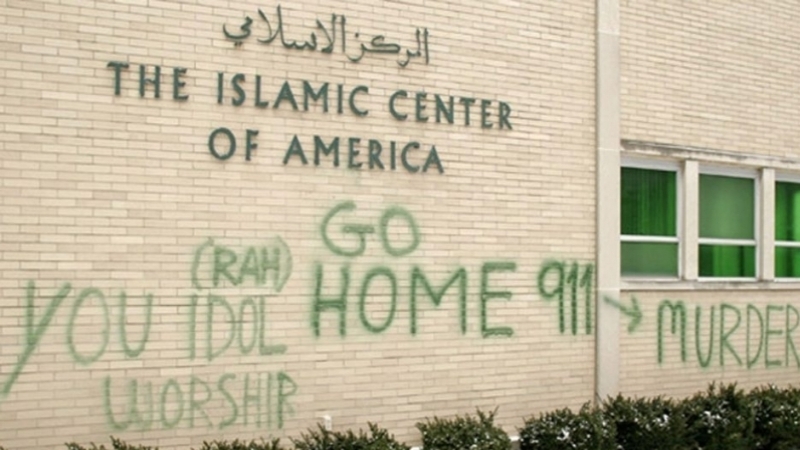 Anti-Muslim hate crimes increased 67% in 2015. By 2016, hate crimes against Muslims had increased by 89%. The question begs to be asked: who hates whom? Although some terrorists who were already prone to extremism have found a comfortable home in Takfiri-Wahhabi literalism, most of them are merely low-life criminals, drug dealers, substance abusers, pimps, pedophiles, rapists, and mentally deranged degenerates. They are the scum of the East and West. They are losers in this life and the hereafter. Muslims and non-Muslims need to understand that takfiri terrorists have very little to do with Islam beyond a veneer of public ritualism. Although some of them have been brainwashed and indoctrinated into Ghetto or Street Salafism, others are just mercenaries out for murder and money. In most of the high-profile cases, the perpetrators were merely pawns. The real criminals were the clandestine operations experts who planned and executed the false flag operations in question. Takfirism and Islamophobia are two sides of the same coin. They are both fueled by the same forces. So-called Islamic terror is orchestrated by the same people who are waging the war on Islamic terror. Takfirism and Islamophobia are employed to advance a geopolitical agenda that is both hegemonic and demonic. In the Muslim East, North Africa, and West Africa, Muslims and non-Muslims are massacred in the name of Islam by people who are generally projected to be Muslims by a crusading mainstream media (since the vast majority of them are “dead by design” before they can be interrogated, their innate motivations are still a mystery). The region is destabilized and depopulated of Muslims and non-Muslims in proxy wars between authoritarian local powers and totalitarian world powers. Hundreds of thousands of deaths are a small price to pay for access to energy resources and reconstruction contracts. In the Western world, non-Muslims (along with some Muslims) are massacred in the name of Islam by people who are once again projected to be Muslims. The rise of Islamophobia and attacks against thousands of Muslims is but a bonus. 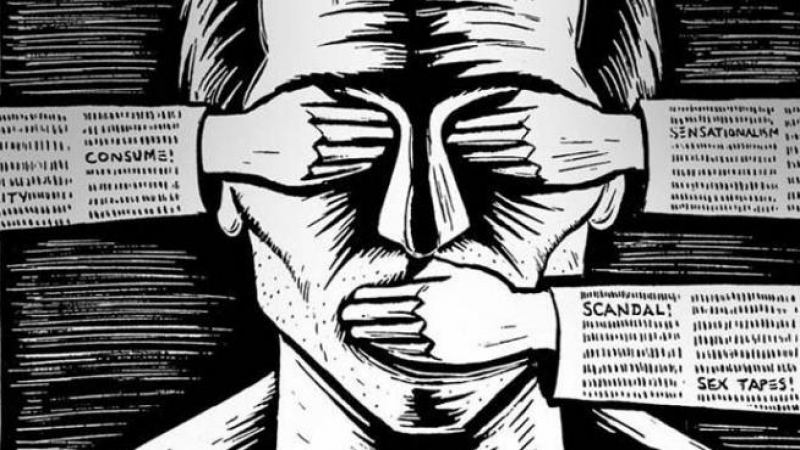 It helps to deflect public opinion from the crimes committed by Western powers both at home and abroad. The United States, for example, has killed more than 20 million people in 37 victim nations since World War II. Threats that are real, and substantial, do not need to be manufactured and concocted. Run-of-the-mill “lone wolf” gun violence is so much of a greater threat to Americans than “domestic terror” by every statistical metric that it is almost impossible to overstate the disparity (from 2002–2011, there were approximately 118,000 gun murders in the US as compared to less than 3,000 deaths attributable to terrorism). In that regard, it is not difficult to understand why “domestic terror” and “homegrown extremism” are things the FBI is desperately determined to create. Informed and conscientious individuals are well aware that Western powers have been in bed with takfiri terrorists for the past century, from the fall of the Ottoman Sultanate to the present, supporting the very criminals they cultivated in the Saudi-financed madrasahs peppered across Afghanistan, Iraq, Syria, and Yemen. The Evil Empires of the Age are simultaneously supporting and opposing the controlled takfiris who have rained down death and destruction in both the Muslim world and the scorched remains of the Christian world. At last count, the FBI had over 1,000 ISIS members under surveillance in the United States. The US administration, under both Obama and Trump, refuses to round them up, charge them, prosecute them, and punish them. And while official Washington has preached about a Muslim Ban, it continues to allow ISIS-affiliated criminals the liberty to plot and plan terror attacks against the homeland. Time and again, mass murder is committed on US soil by parties who were both known and surveilled by the CIA, FBI, and NSA. As much as they may appear critical of the United States, European nations clearly share the same covert agenda. At last count, Europol reported that there were 5,000 ISIS fighters operating freely in the European Union. Repeatedly, mass murder is committed in Europe and the United Kingdom by parties who were both known and surveilled by European and British intelligence agencies. Let’s face facts. We live in a surveillance society. Julian Assange, Chelsea Manning, and Edward Snowden have made that abundantly clear. Our governments gather information on all of us. Intelligence agencies like the NSA sniff it all, collect it all, know it all, process it all, and exploit it all. 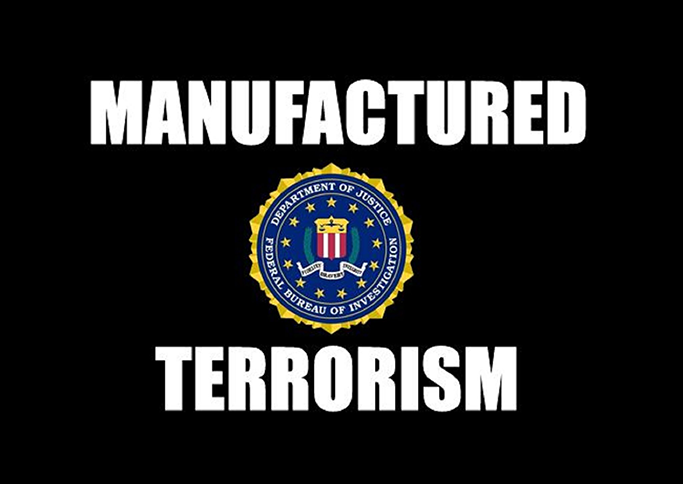 The governments of the United States, the United Kingdom, and Western Europe know who the terrorists are. In fact, they know them on a first name basis. While it may be startling, unnerving or perplexing to most, the US State Department has the names of over 100,000 known terrorists on a secret list. And while it might be more complicated to round up criminals from abroad, it remains within the realm of possibility. What is more, nothing truly prevents the United States from detaining those 1,000 ISIS members, both citizens and residents, who are currently on our soil. According to the framework of “Countering Violent Extremism,” arrest and prosecution are intended as a measure of last resort. For the so-called experts at the service of the US government, the final goal is helping terrorists to become law-abiding and productive members of society. Rather than show sympathy for the victims of these sub-humans and their satanic persuasion, the proponents of CVE pity the poor little terrorists, and sympathize with the fact that they are mentally traumatized, stigmatized, and ostracized for the crimes they committed or explicitly support. Rather than focus on engagement, prevention, intervention, interdiction, rehabilitation and integration, Western authorities should reconsider their naive notions, and focus on detention, prosecution, incarceration, or execution. If, as they admit, Western intelligence agencies are tracking thousands upon thousands of bloodthirsty terrorists, why, one must reasonably ask, do they refuse to detain them for reasons of national security? For intelligence analysts, the answer is obvious: the terrorists are at their service. They are valuable assets and useful idiots. As Phaedrus stated, “Things are not always what they seem; the first appearance deceives many; the intelligence of a few perceives what has been carefully hidden.” What we are witnessing in the world is all theater. Layers and layers of lies. People just see the puppet patsies. They fail to see the puppet-masters: the Hidden Hand. Unless they open their hearts and minds, the masses of Muslims and non-Muslims will never free themselves from the Matrix. Dr. John Andrew Morrow (Ilyas ‘Abd al-‘Alim Islam) is an indigenous inhabitant of Turtle Island and a proud member of the Métis Nation, the Michif-Otipemisiwak, the Free People, the People Who Own Themselves. He received his PhD from the University of Toronto in the year 2000. He is the author of over 30 scholarly books, including the critically-acclaimed Amazon best-seller, The Covenants of the Prophet Muhammad with the Christians of the World. His websites include http://www.covenantsoftheprophet.com and http://www.johnandrewmorrow.com. His videos and lectures can be found on The Covenants of the Prophet Channel on YouTube: https://www.youtube.com/channel/UCqM3-puvWuKuCEJsDQDZFrA. His Facebook accounts include @johnandrewmorrow and @covenantsoftheprophet. His Twitter handle is @drjamorrow.